For reservations outside of the available timeslots, please contact the restaurant directly. Enjoy 20% off when you pre-purchase Chope vouchers to Oscar's here. Racked up enough Chope-Dollars? 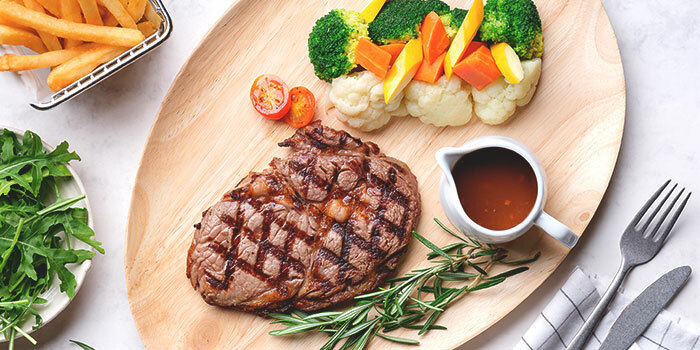 Redeem them for vouchers at Oscar's worth $10, $20 and $30 here. Chope-Dollars are rewards earned by diners when they successfully book and dine at restaurants through Chope. Click here to find out more. 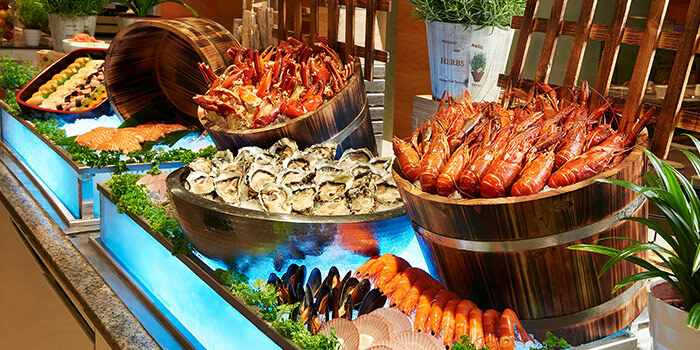 One of the stalwarts in the hotel buffet scene in Singapore, Oscar's has long been known for the quality of their food. 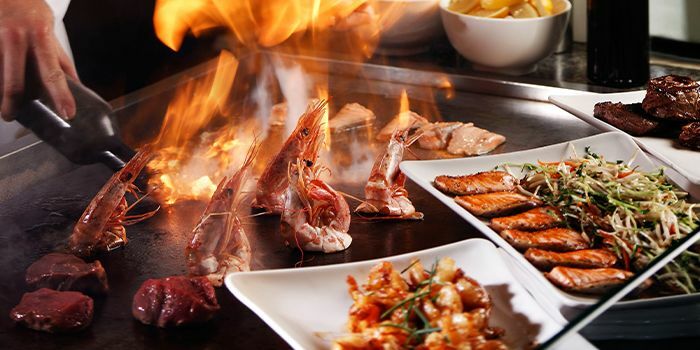 Serving both international and local cuisine in a cheery, casual dining room, one is spoilt for choice amidst the variety of gastronomic delights on offer. The salad bar holds its own in the centre of the room. You know it's serious stuff when the Caesar salad is tossed in a huge block of parmesan, ensuring that you get fresh chunks of nutty goodness. And if that's not enough, there's also a staggering selection of ingredients you can add to your salad, along with an assortment of seafood, soup and other cold starters. The main courses are prepared fresh in small quantities each time (to ensure quality), right behind the counter in the library kitchen, where curious diners can observe all the action going on behind the scenes. The themes and menus change daily, so loyal patrons will always be kept on their toes. In fact, don't miss the noodle station that's located on the terrace. 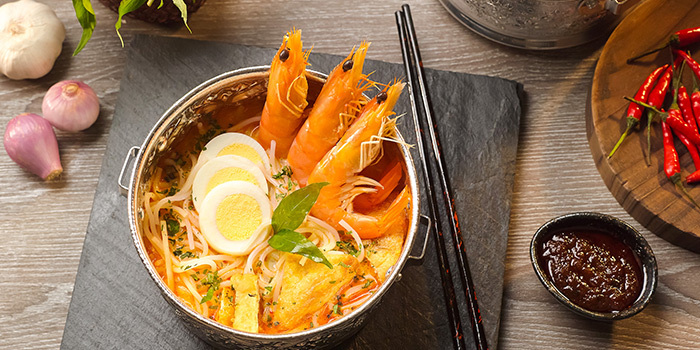 With a menu of local noodle dishes such as laksa and more, cooked-to-order, what's there not to love? It’s out with the old and in with the new Eat-Drink-Brunch-Repeat Sunday Brunch, replacing the former Supercharged Sunday Brunch at Oscar’s. True to its name, the Eat-Drink-Brunch-Repeat Sunday Brunch helms the Gravlax Bar where thinly sliced salmon has been carefully cured with various spirits. The chef has paired flavours perfectly together, offering Dill and Vodka Gravlax and Beetroot and Gin Gravlax. In fact, the chef has created a unique array of small bites. With Pincho’s and a new Mezze Bar available, you’ll be spoilt for choice. Moving on to mains, Oscar’s Signature Congee Bar feature new contemporary congees, like the Singapore Laksa Congee and Crustacean’s bisque, Coriander and Lobster Congee, while retaining traditional flavours such as Century Egg, Chinese Sausage and Locally Sourced Mushrooms Congee and Slow-cooked cooked Chicken, Ginger and Scallion Congee. Prices are accurate as of March 2019. Please note that buffet prices are subject to change at the restaurant's discretion. 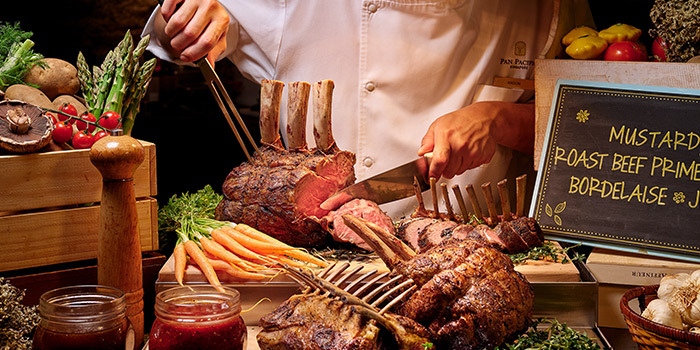 *Children from the age of 6 to 12 years old enjoy 50% off the buffet pricing. Prices are accurate as of Mar 2019. Please note that buffet prices are subject to change at the restaurant's discretion.